K. Sotriffer, "Vermchtnis eines Liebenden," Die Presse, Vienna, 16 May 1998, p. 8. 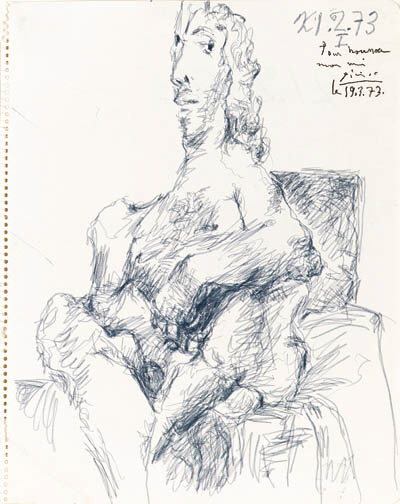 Maya Widmaier Picasso's photo-certificate shows that this drawing is also dated and numbered on the reverse '21.2.73. I'.